Despite gaining a reputation as a free-ride paradise in recent years, producing world free-ride champions Candide Thovex and Loic Collomb-Paton, La Clusaz’s five inter-connected mountains with 130km of groomed pistes offer up a wide variety of skiing terrain, making the resort attractive to skiers of all levels. La Clusaz’s dependable snow record, predominantly north facing slopes reaching up to 2500m, and 213 snow cannons, ensures reliable ski conditions from mid-December through to the end of April. The five mountains each have their own characteristics, from the gentler tree-lined runs of Beauregard and Manigod, through to the steeper, longer runs of Étale and Aiguille, to the powder bowls of Balme, the variety of skiing on offer will suit everyone. 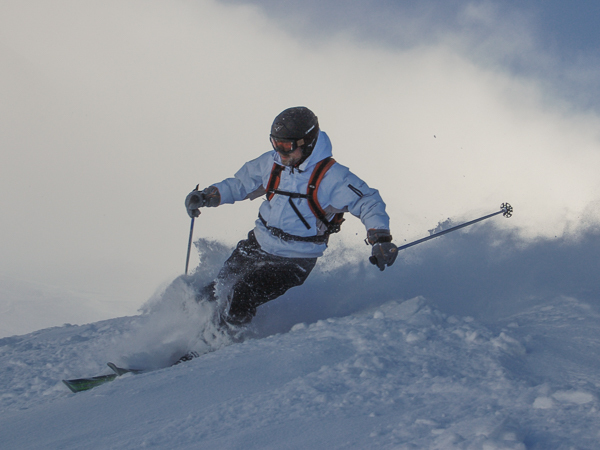 La Clusaz provides some excellent accessible skiing for first-timers. There are a couple of beginner lifts at resort level, but the best area is undoubtedly at Beauregard which boasts a sunny plateau with gentle blue and green slopes and fantastic views of the entire Aravis region from the top. The shorter, tree-lined runs of the Croix Fry/Manigod sector are another excellent option for skiers looking to progress from the nursery slopes, and start to build some confidence. 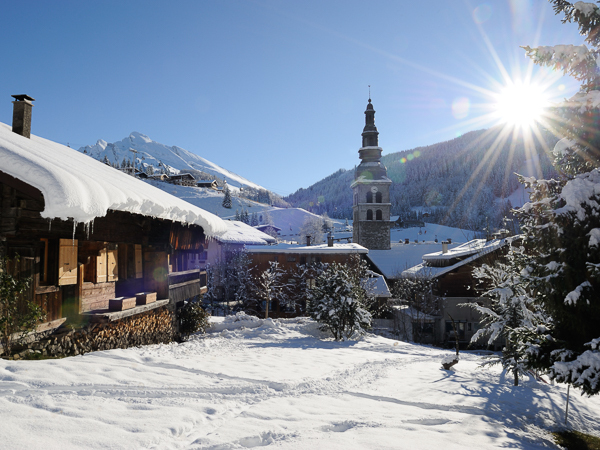 The Crêt de Merle area immediately above the village is another favourite, with a great variety of piste-side bars and restaurants in which to grab a well-earned pit stop! 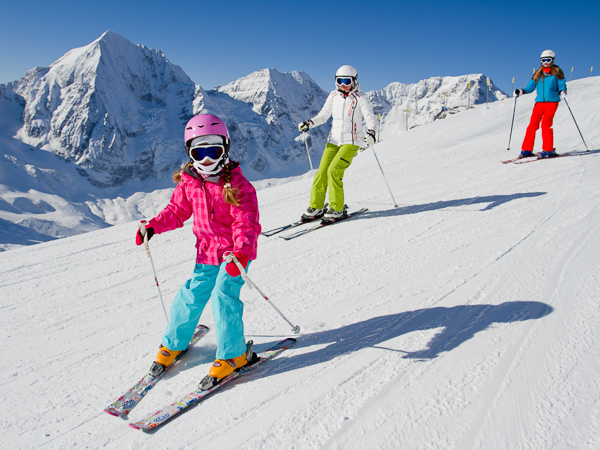 Intermediate skiers will love what is on offer in La Clusaz – and a day spent ‘touring’ around each of the 5 massifs of the resort is always a favourite with our guests. Novice intermediates will appreciate the gentle forested slopes coming off the Beauregard plateau, with ‘Guy Perillat’ being a particular favourite. The linking runs into the Croix Fry/Manigod sector also give access to a sunny mountain of beautiful runs within the trees. More experienced intermediates will enjoy the quiet but challenging blues and reds on Étale, linking over to Aiguille. The more adventurous will get a thrill from the steeper reds on Aiguille, and the long reds in the Balme sector. 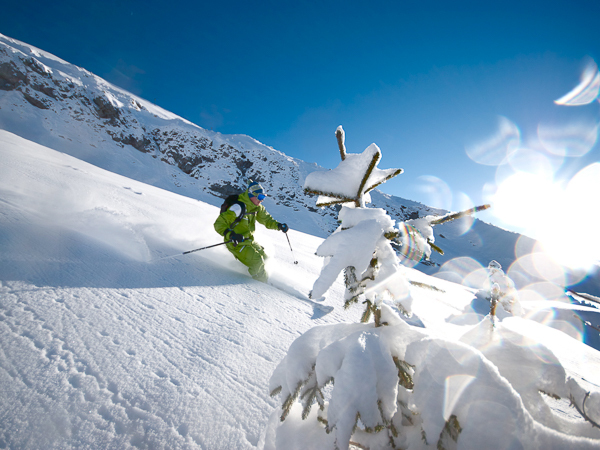 There is plenty to challenge advanced skiers at La Clusaz. Whilst the piste map doesn’t seem to have a lot to offer expert skiers, most of the sectors have good off-piste variants. The best terrain and views are at La Balme, where the pistes above mid-mountain are challenging with long, steep runs and bumps; ‘La Vraille’ is particularly steep. This is the area where world free-ride champion Candide Thovex grew up, and the lifts give access to a large and exciting off-piste area, which still attracts the cream of the free-ride fraternity from around the world. Hire a guide or instructor and the possibilities are endless! The accessible off-piste isn’t limited to La Balme; locals all have their favourite spots, from the combes off Aiguille and La Balme, to the lines off Étale, all offering something a little different for those looking for a serious challenge.